The unallocated space must be next to the drive C: if you want to extend a drive C: directly. 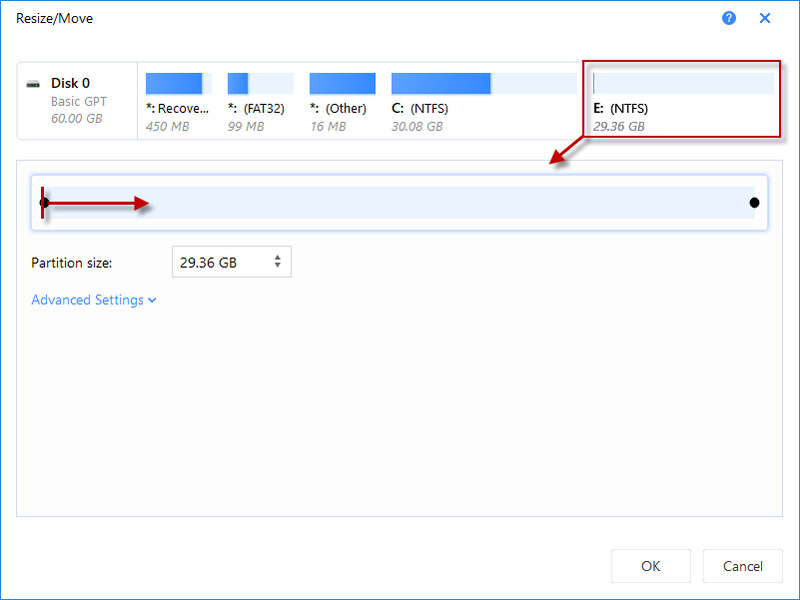 However, in most cases, there is no unallocated space on the disk or it is not adjacent to the drive C:, these videos show you how to extend drive C in different cases. 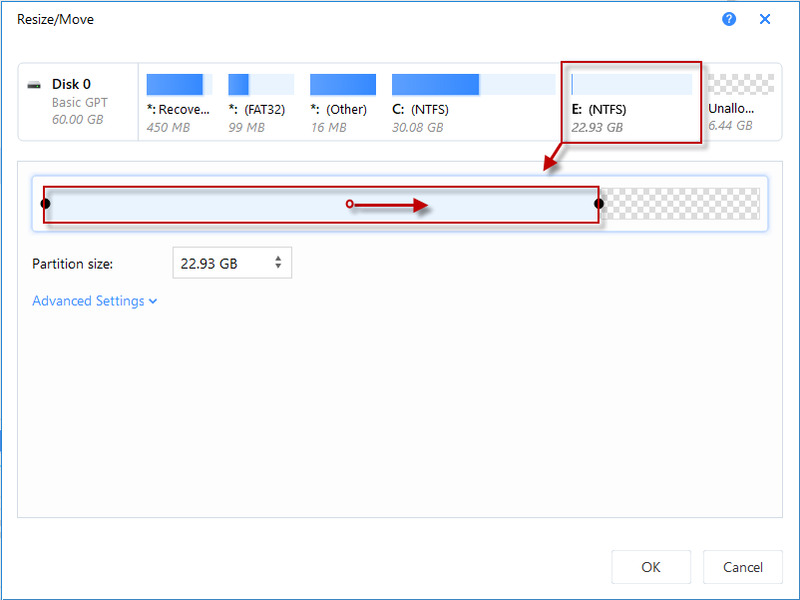 There is not unallocated space adjacent to the "insufficient room" partition C. But the other partition E on the same hard disk has a large number of free spaces. There are some unallocated space can be used to extend C, but it is not close to C partition. 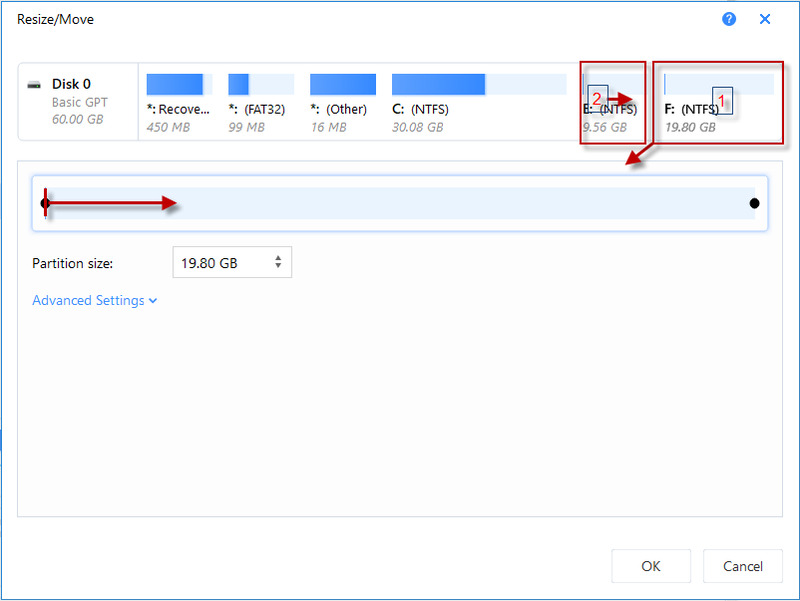 There is not any unallocated space adjacent to the "insufficient room" partition C and the next E partition. But another partition F on the same hard disk has a large number of free spaces. 1. Close all the other applications including the antivirus and firewall when running the software. 2. Please keep 5~10% free space as our product needs some space for data exchanging during resizing. 3. In order to ensure data safe, you'd better backup your data with backup software to a safe place before resizing, such as, EaseUS Todo backup. 4. If there is lots of data on the partition, it will take a long time to resize it. Please do not shut down or restart your computer manually. 5. If there is much data on the involved partitions, the resizing would take more time. In this case, we suggest you do the operations step by step. Apply the operations one by one.